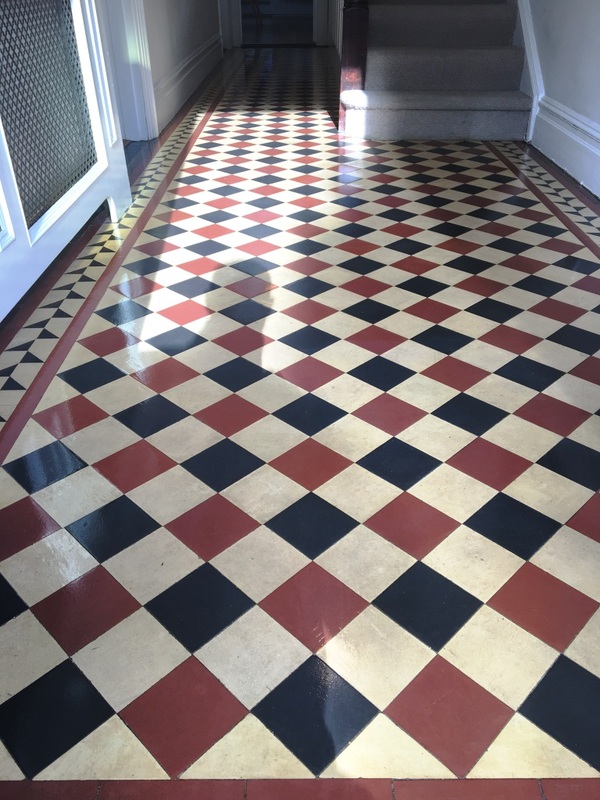 Details below of a tired and lifeless looking Victorian tiled hallway that I was asked to deep clean and seal at a house in the suburban town of Weybridge. 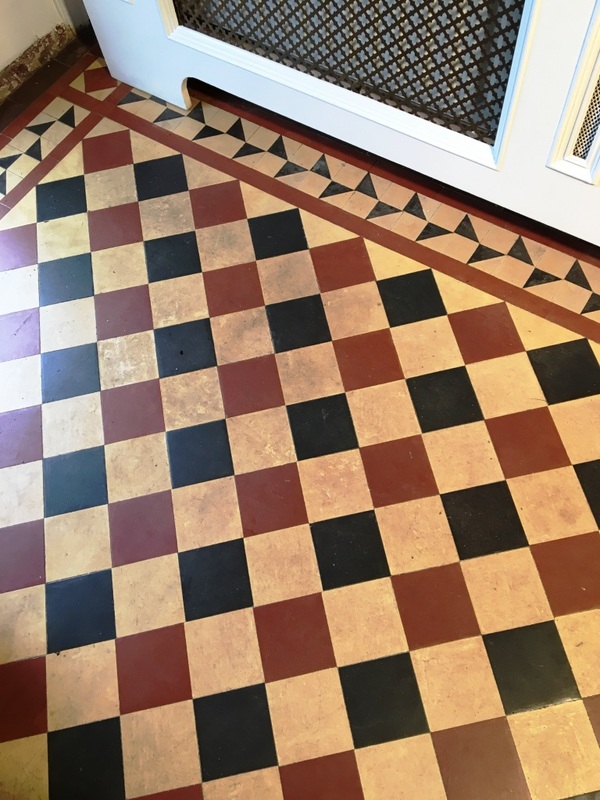 The tiles were laid in a chequer pattern of Red, Yellow and Black tiles and if you look closely at the photographs you can cleanly see the ingrained dirt on the yellow tiles. I started the process straight away with an aggressive diamond encrusted coarse 200 grit burnishing pad fitted to a buffing machine and lubricated with water. The diamond encrusted pads really gets into the most deeply encrusted areas to remove the dirt. Once the previous sealer and grime was removed I vacuumed up the soil using a wet vax and then gave the floor a quick blow dry with an industrial fan. For the next couple of hours, I got down to the corners to clean areas not touched by the pad. To finish I took a wire brush to any paint splash left over from recent decorating. After further drying I was able to assess the yellow coloured tiles that would benefit from further attention. 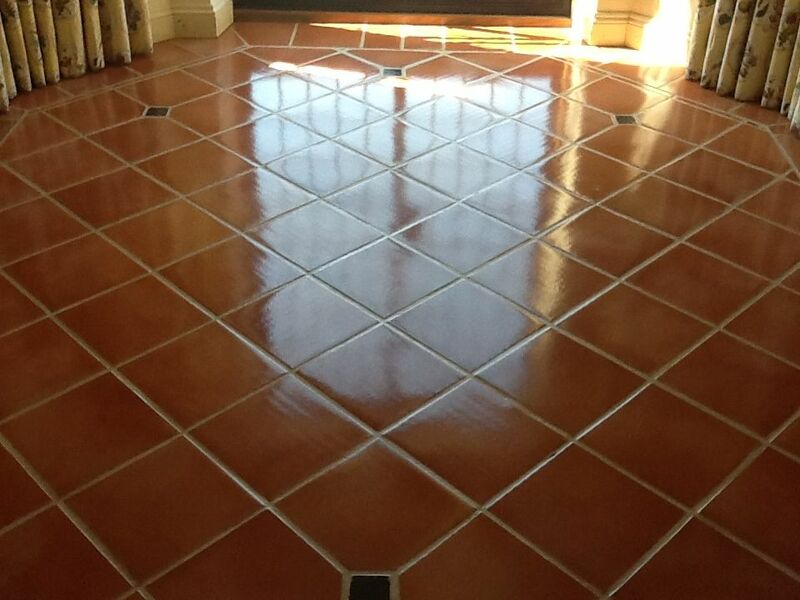 Several tiles near the heavy footfall areas benefited from a twenty-minute application of Tile Doctor Acid Gel. The gel removes mineral salt deposits and grout smears as well as breaking down deeply ingrained, long standing dirt. Once washed away and extracted using the wet vacuum I was done for the day. I warned the customer at this point that it’s common for the tiles to appear washed out in-between cleaning and sealing. 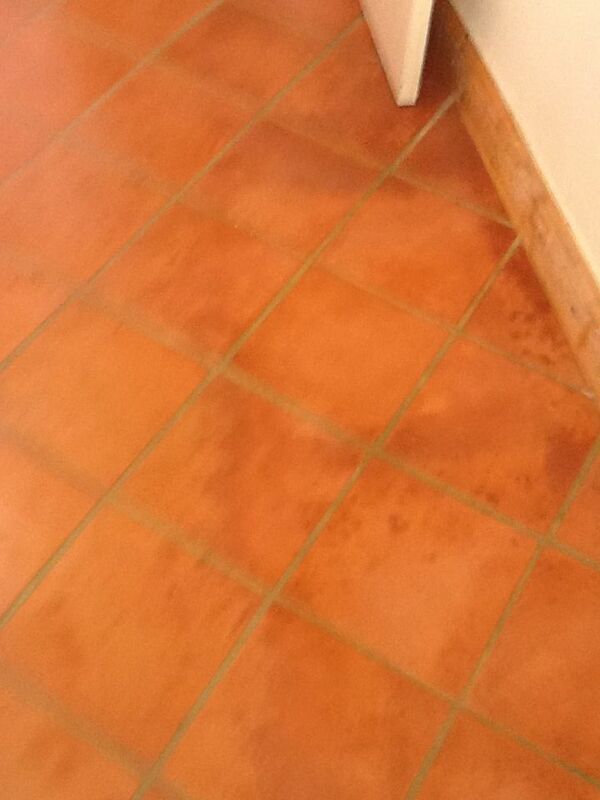 I left the floor to dry naturally through evaporation for two days before returning to seal the floor. 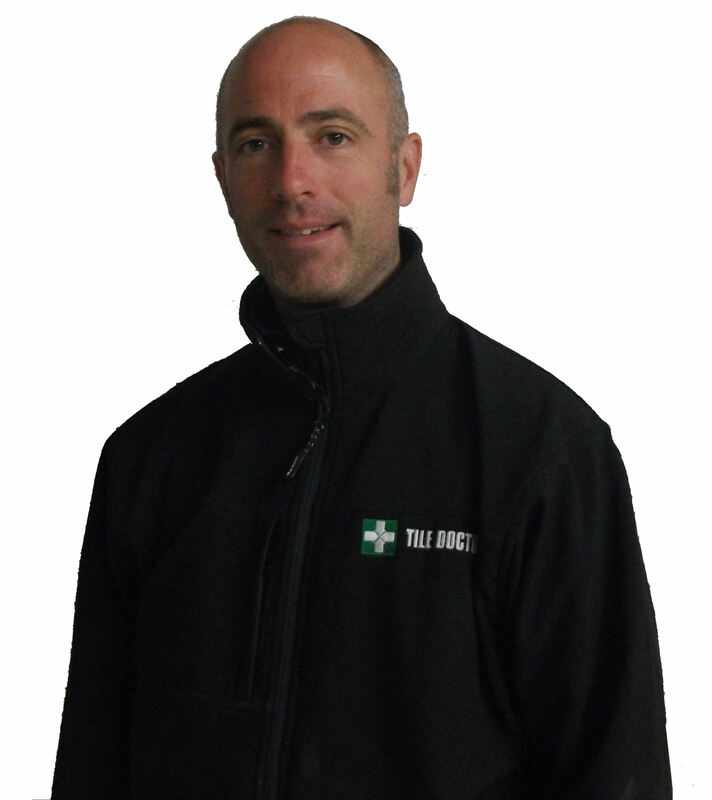 It’s important to ensure that the floor is bone dry before sealing as dampness can affect the sealer. To seal the floor, I used Tile Doctor Seal and Go which gives a long lasting, tough, gloss look seal, it’s also water based so it doesn’t give off a smell as it dries like some products. 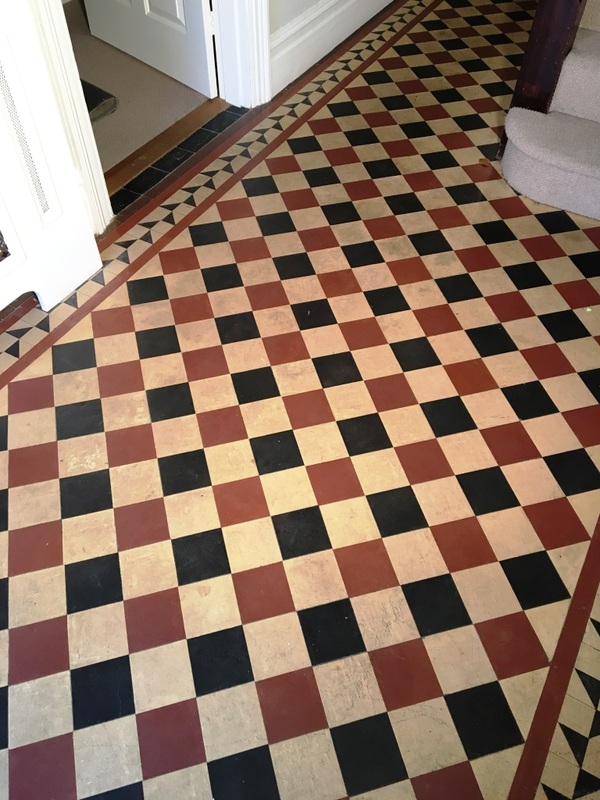 Victorian tiles are quite porous so nine coats were applied, a process that took around four hours to complete. 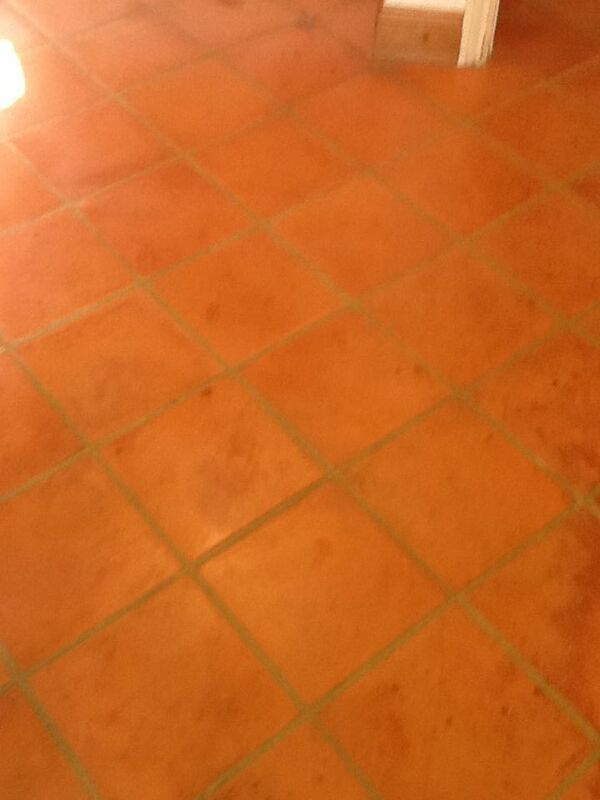 When the customer returned home from work she said the tiles looked brand new. 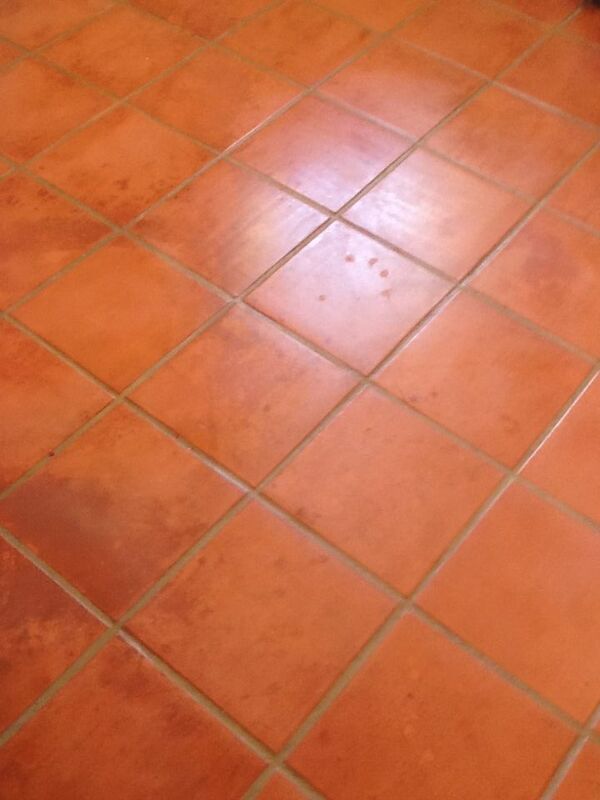 Below are some examples of Terracotta Floor cleaned and sealed by West Surrey Tile Doctor.